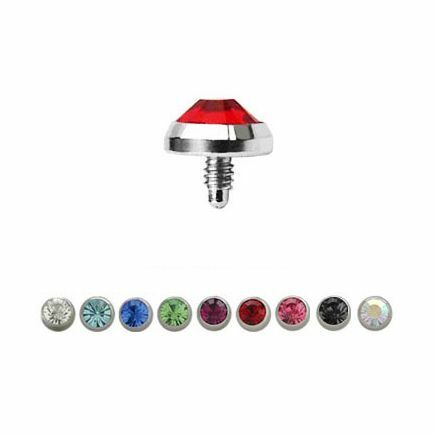 16 Gauge Internally Threaded Surgical Steel Gem Set Flat Bottom Dome for Internally Threaded Dermal Anchors. Available in variety of colors. Gem bead size is available in 3mm, 4mm or 5mm.